ATLANTA – July 9, 2018 – DC BLOX, an Atlanta-based provider of data center, network and cloud services at the edge, today announced the development of a new data center facility in Birmingham, Alabama. DC BLOX plans to use the 27-acre, former Trinity Steel site in downtown Birmingham to develop a technology and innovation campus that will drive the connected digital economy in Birmingham and all of Alabama. This project has the potential to be a $785 million investment over the next 10 years, depending on the success of DC BLOX and Birmingham to attract marquee clients and their employees. DC BLOX will deploy the same highly secure, modular design and lean construction techniques currently being used for its Huntsville, AL data center. Groundbreaking of the multi-tenant facility in Birmingham will begin August 2018 with Phase 1 delivering 31,000 square feet and configurable up to 5MW of customer capacity by early 2019. 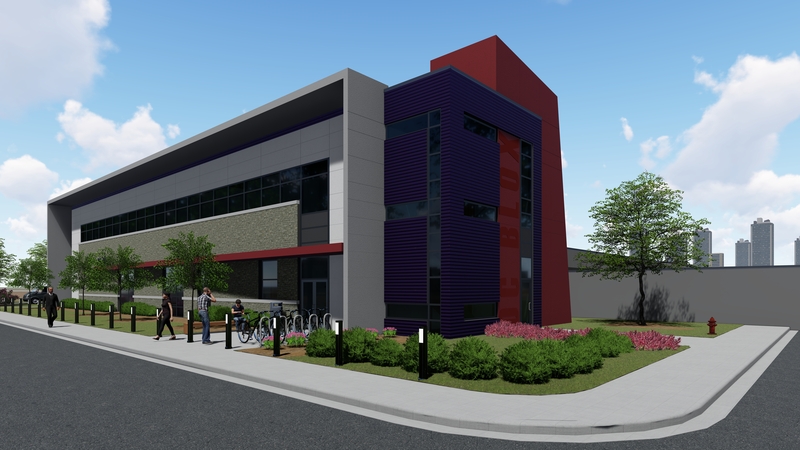 The Birmingham data center will join DC BLOX’s Atlanta, Huntsville and Chattanooga sites on the company’s high-speed, high-capacity private optical network. Estimated economic impact of this project during the construction and operational phase is $94 million on the Birmingham metropolitan area, more than $80 million of which will be in Jefferson County, according to an analysis prepared by the Center for Business and Economic Research at the Culverhouse College of Business at the University of Alabama and commissioned by the Birmingham Business Alliance. Economic impact on Alabama is estimated to be $99 million. DC BLOX worked closely with the following to finalize the project: Alabama Department of Commerce, Jefferson County Commission, Jefferson County Economic and Industrial Development Authority, City of Birmingham and its Department of Innovation and Economic Opportunity, Titusville Neighborhood Association, Birmingham Industrial Development Board, Alabama Power Co., Spire, Economic Development Partnership of Alabama and the Birmingham Business Alliance. DC BLOX builds Tier 3 data centers in underserved markets in the Southeastern United States, connects them with a high-speed optical network, and hosts cloud services to enable area businesses to effectively serve their local customers, efficiently scale their infrastructure, and ensure business continuity. DC BLOX data center locations are in Atlanta and Chattanooga, Tenn.; its newest data center is currently under construction in Huntsville, AL. For more information, please visit www.DCBLOX.com, call +1. 877.590.1684, and connect with DC BLOX on Twitter, LinkedIn, Google+ and Facebook. This entry was posted on July 9, 2018 by Kwan Fai Cheng.